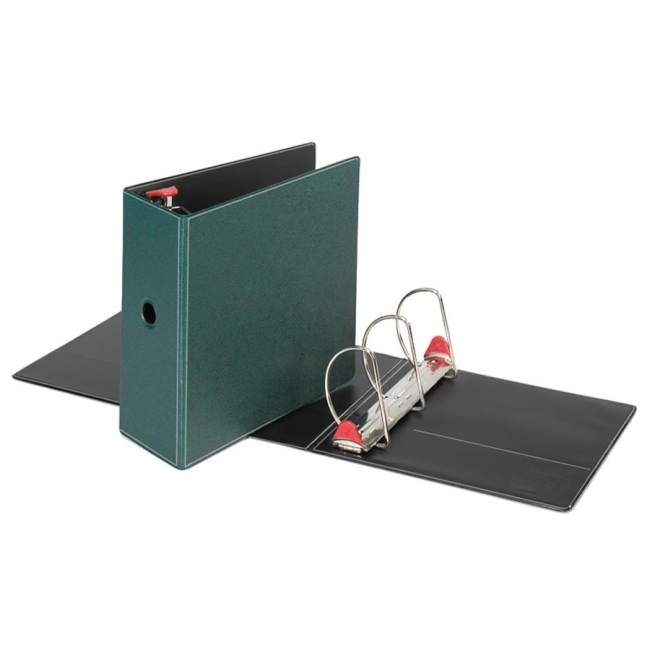 Binder features distinctive embossed surface texture and two-tone cover material with contrasting inside black lining. Slant-D locking rings hold up to 25 percent more pages than standard round rings, and are angled for smoother operation and reduced wear. Heavy-duty construction and ExtraLife Hinge provide maximum strength. Binder offers inside front and back pockets and poly sheet lifters.